SB313 SD1 HD1 MAKING AN APPROPRIATION TO THE UNIVERSITY OF HAWAII. SB314 RELATING TO THE UNIVERSITY OF HAWAII. SB315 SD1 HD1 MAKING AN APPROPRIATION TO THE UNIVERSITY OF HAWAII. SB316 SD2 HD2 RELATING TO THE UNIVERSITY OF HAWAII. SB317 HD1 MAKING AN APPROPRIATION TO THE UNIVERSITY OF HAWAII. SB318 MAKING AN APPROPRIATION TO THE UNIVERSITY OF HAWAI‘I AT HILO. 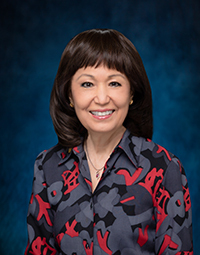 SB319 RELATING TO CAPITAL IMPROVEMENTS FOR THE UNIVERSITY OF HAWAI‘I. SB499 RELATING TO THE UNIVERSITY OF HAWAII BUDGET. SB503 SD2 HD1 RELATING TO SALARY OVERPAYMENTS. SB505 RELATING TO MOTOR VEHICLE INSPECTIONS. SB507 RELATING TO PHARMACY BENEFIT MANAGERS. SB508 RELATING TO TRANSFER FEES. SB671 SD2 RELATING TO POST-SECONDARY EDUCATION STUDENT IMMUNIZATIONS. SB672 RELATING TO MINIMUM WAGE. SB1093 RELATING TO CAPITAL IMPROVEMENT PROJECTS FOR THE BENEFIT OF THE FOURTEENTH SENATORIAL DISTRICT. SB1532 RELATING TO LANDLORD-TENANT COURTS.